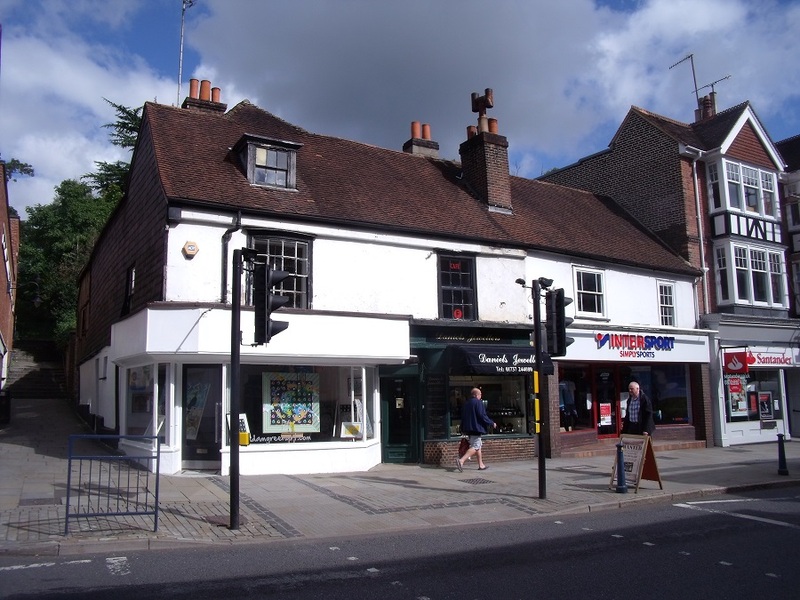 The properties are located in the middle of Reigate High Street next to Boots The Chemist and opposite the pedestrian entrance to Morrisons town centre store with about 400 parking spaces. A public footpath up to the Castle Grounds at the rear of the properties runs alongside no. 32. Nearby retailers include M&S Food Hall, WH Smith, Carphone Warehouse, Dreams and Martins the newsagent and many restaurants e.g. ASK, Carluccios, Pizza Express, café Rouge, Costa Coffee and Café Nero. Reigate station is a 6/7 minute walk through the Castle Grounds and Junction 8 of the M25 is about 2 miles to the north. The properties comprise three adjoining grade II listed buildings on a prominent site with overall frontage of about 51ft and maximum site depth of about 153 ft (see plan overleaf). According to our information, the assessments with effect 1st April 2017 are RV £35,500 (28), RV £14,750 (30), and RV £19,750 (32). The UBR is 47.9p in the £ for 2017/2018. The local authority is Reigate & Banstead Borough Council Tel: 01737 276 691. No. 28 & 30 are let on 15 year FRI leases inside the Landlord and Tenant Act 1954 from 25th December 2010 with 5 year rent reviews but no break clauses to longstanding private retailers. No. 28 is let to CHS & SS Ltd T/A Simply Sports at £33,500 pa exclusive and there is a schedule of condition covering the rear stone section. No. 30 is let to Global Gems & Jewellery Ltd T/A Daniels Jewellers at £13,000 pa exclusive. The landlords insure no’s 30 & 32 and the tenants of no. 28 have their own buildings insurance cover. The next rent reviews are in December 2020. No. 32, the yard and rear garden area are offered with vacant possession subject to rights of access over the yard in favour of 28 & 30.